Provide a safe, caring, nurturing and stimulating environment in which children thrive and develop. 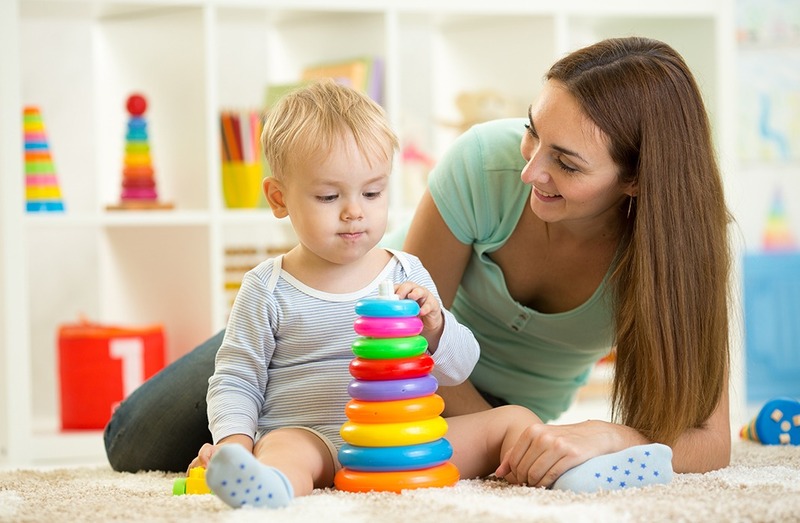 Absolute Childcare – Nanny Agency in Surrey, London. Absolute Childcare, London, Surrey and overseas. Do you need help to find a professional and experienced nanny, housekeeper or other private staff member for your family? With over 20 years’ experience of finding the right professional match for families in London, the home counties and overseas, Absolute childcare director Sandy O’Neill has a fantastic reputation and a large portfolio of staff to help you in your search. By taking a consultative approach, we make sure we clearly understand your needs and lifestyle so that we can find a you a suitable placement from the outset. We also offer a settling-in period for all placements so that you can be confident that you have found the right match. Absolute Childcare is not just another recruitment agency. Having worked as a Nanny, raised a family and run her own business, Sandy fully understands your needs as well as the needs of the staff that she places. Having worked with many high-profile clients she is adept at working in confidence and with discretion and will always protect your privacy. We take real pride in getting to know our candidates, their personalities and what they are looking for in a placement. We always aim for longevity in the placements we make and view our matching as a skill learnt from years of experience. We won’t waste your time with unsuitable applicants, on average we make a successful match based on just 3-5 high calibre introductions. Founded in 2004 and managed by Sandy O’Neill NNEB, Absolute Childcare are a small well-connected team who are passionate about finding fantastic and fulfilling opportunities for the best nannies, housekeepers, and private staff. With this wealth of experience, you can find the support you need without having to worry about time consuming advertising, CV filtering, screening interviews and background checks etc whilst juggling the demands of family and work. All it takes is one call or email and we’ll take it from there. Please call us now on + 44 208 15 0017 or send us an email: [email protected] to schedule a time outside of working hours. Hiring a great nanny is what enables us to go to work with peace of mind. Sandy understood what we were after and delivered us a fabulous nanny that stayed with us for 6 years. We are on year 2 of our next great nanny through Sandy. I have used Absolute childcare for all my Nanny Jobs. Sandy is amazing and was very dedicated when helping me find a new Nanny position. Sandy keeps you well informed about how everything is going. I would highly recommend Sandy to both nannies and parents. Sandy is an absolute star. Regards, Helen. Can I take this opportunity to say thank you for all your help with finding a nanny (when we lived in Twickenham) and for dealing with our payroll over this last year. We’ve felt extremely fortunate to have such great care for our boys and the Absolute team have been a part of that success. I was really pleased with the service i received from Absolute Childcare – Sandy was extremely professional & diligent and really cared that I found the right nanny for my family. I would definitely recommend her. Sandy was absolutely brilliant. She held my hand through the whole process and constantly went over and above the call of duty. I cannot recommend her highly enough – a compassionate and professional person to help you through the difficult choices associated with caring for your child/children and venturing back to work. She has personal as well as practical experience and advice and I wouldn’t search for a nanny without her. Sandy is a true professional, she works with clients to find nannies who are right for their families and is passionate about providing the best possible match. I would recommend her to any prospective parents. She is my GO TO!